Dior presents the third edition of Dior Lady Art, a project initiated in 2016 that has become a much-anticipated annual meeting of haute couture and art. For this new edition the Maison invited eleven women artists to share their vision of the iconic Lady Dior bag. Bold or subtle but always fascinating, these interpretations challenge both forms and materials. The Lady Dior bag has been a hallmark of the couture house since it was created in 1995. 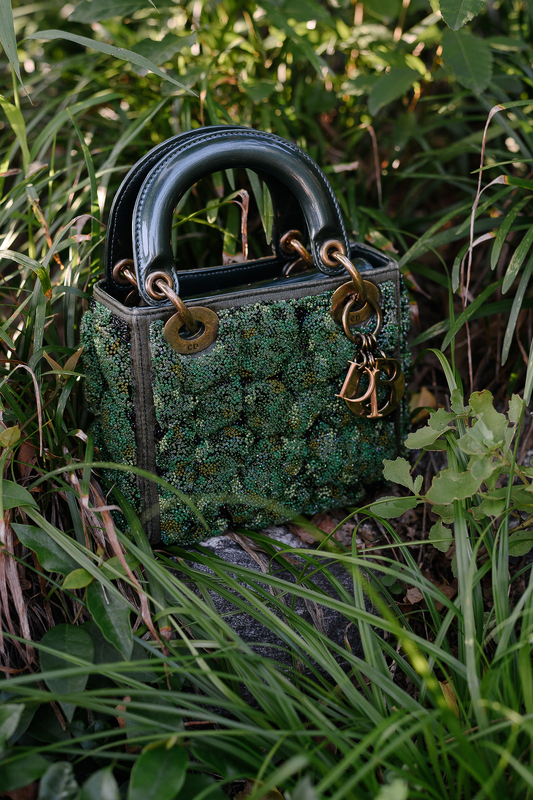 Every element of the bag evokes a hallmark of the Dior spirit and identity, from the charms in homage to those that Christian Dior always carried, to the cannage of the chairs on which guests were seated for his fashion shows. Icon, myth and symbol, Lady Dior is a timeless classic that openly embraces new transformations. 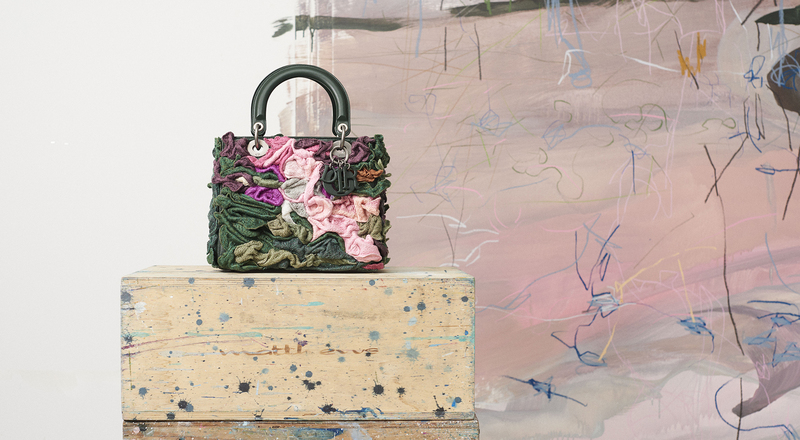 For this third edition of Dior Lady Art, Artistic Director Maria Grazia Chiuri invited a resolutely diverse group of all women artists to revisit the bag, a melting pot of different generations and nationalities, from Colombia, Turkey, South Korea, China, the United States, France and Japan. Maison Dior gave them carte blanche to redesign the Lady Dior Bag, customizing everything from the materials and colors to the lucky charms to impart their individual artistic style and imagination. Each of them reinterpreted the bag in medium and mini versions. Colombian artist Olga de Amaral, a major figure in Latin American abstraction, chose her favorite material, gold, covering small embroidered cotton and linen squares with gold leaf for the medium bag, and embroidering corked calfskin tubes for the mini version. 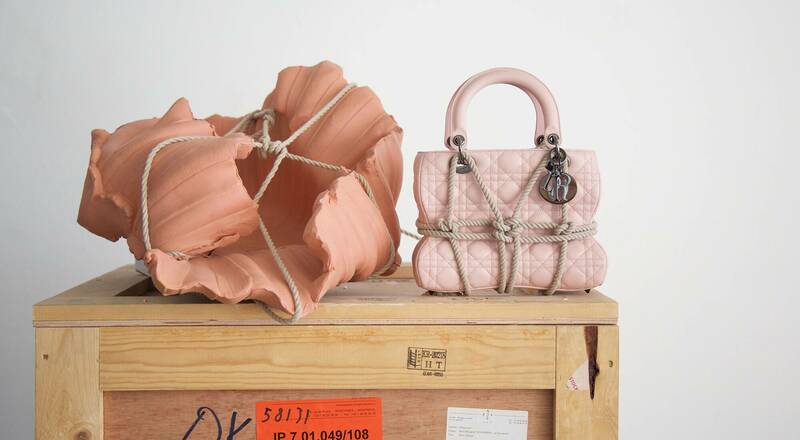 American artist Polly Apfelbaum incorporated multicolored graphic motifs for her bags, while Lee Bul of South Korea reworked the Lady Dior by covering it with a rock extraction and foam. French sculptor Morgane Tschiember drew inspiration from Japanese influences, using delicate cords to tie up the bag. These multiple transformations reaffirm that the spirit of the Lady Dior bag remains open to myriad interpretations without ever losing its essence.